publication and reviews in drinking water and health. Our unified watershed approach connects land use, water quality and human health, and provides comprehensive assessment and management strategies that link our ecological systems with our human health and well-being. Sponsors include local, regional, and international agencies, as well as educators, community businesses, consultants, environmental preservation and action groups, resource industries and individuals. Ordering your cop(ies) now supports watershed efforts around the world. 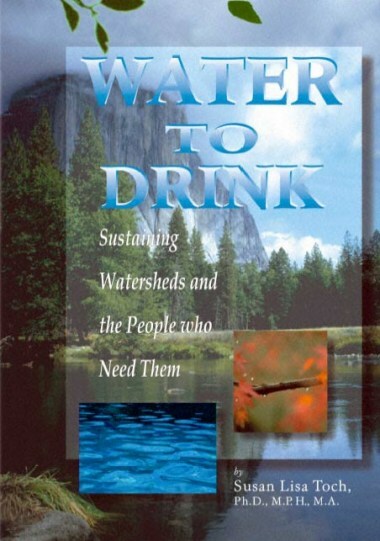 "A watershed is a classic example of our human and ecological connections because flows of water link virtually all human needs, activities and interests. With less than half of one per-cent of the total water on the planet available as fresh water, the relationship between water quality and the quality of our own human health and welfare is inescapable."